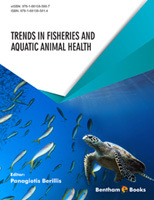 “Trends in Fisheries and Aquatic Animal Health” is an effort to cover some main topics about fisheries, aquaculture and aquatic animal health aspects. The book is a combination of reviews and original research articles. The first two chapters examine the current state and the potential future scenarios of fish and fisheries of the eastern Adriatic Sea under the light of climate changes and the fresh water fishes of Croatia. The third and the fourth chapters focus on the challenges faced by marine aquaculture and Mediterranean fisheries in the framework of the new common fisheries policy. The fifth chapter is an introduction to the relationship between the use of antibiotics and the presence of antibiotic resistant strains of both pathogenic and commensal bacteria isolated from fish and aquatic environment. The topic of the antibiotic residues in fish due to irregular use of antibiotics is also examined. The sixth chapter deals with the stress and fish health towards an understanding of allostatic load. Chapter 7 is an excellent introduction to fish histopathology as a biomarker in ecotoxicology, while chapter 8 examines the effect of cyanobacteria and their toxins on fishes. The environmental and technical issues on developing rainbow trout farming in desert underground brackish water, focusing on the Iran area, is the theme of chapter 9. The last of the review chapters focuses on the fishing landings of crustacean decapods and the problems associated with their culture diseases. The next six chapters are selective research papers mainly presented at the “HydroMediT 2016” international conference, held at Messolonghi, Greece, on 10 - 12 November 2016. A histological method to assess the effect of diet and a single meal on the liver and intestine of rainbow trout is presented in chapter 11. Chapter 12 deals with an innovative methodology for the mariculture of bath sponges in Greece, while examining the establishment of blue crab Callinectes sapidus in the Pogonitsa lagoon of the Amvrakikos gulf in western Greece is discussed in chapter 13. The CyHV-2 outbreak associated with Aeromonas spp. in crucian carp and the epidemiology of infectious hematopoietic necrosis (IHN) and viral haemorrhagic septicaemia (VHS) in salmonid fish in the Piedmont region of Italy are discussed in chapters 14 & 15. The final two chapters are focused in the area of Turkey dealing with the effects of chronic low level zinc exposure on the hematological profile of Tinca tinca and with the introduce of acoustic telemetry as a fishery management tool in artificial reefs. The whole book is serving as an excellent introduction to the topics of fisheries, aquaculture and aquatic animal health. It is appropriate for the general public, students, or scientists from outside the field of marine sciences. We live in a world where the global population is expected to grow by another 2 billion to reach 9.6 billion people by 2050. Current food resources will not be enough and feeding the planet will be a huge challenge. Food coming from marine or inland waters could be the key. Fish and seafood have always been considered as an important part of human diet and it has long been recognized as a health-promoting food for human nutrition. Τhe Earth's surface is 71% water-covered, and oceans hold about 96.5 % of all Earth's water. Οceans contain almost the 90% of the world's living biomass. Globally, the fish stocks are over-exploited, depleted, fully exploited or in recovery from exploitation in a portion of 85%. We may be the last generation able to catch food from the oceans and seas. Aquaculture is the alternative solution for sea and inland waters food production. According to FAO, aquaculture is probably the fastest growing food-producing sector and can be a sustainable solution for fish production. The latest FAO 2014 report highlights that fact. In 2014, world aquaculture production attained another all-time high at 66.6 million tones. The global capture fishery production that year was 86.6 million tonnes (7.9 million tonnes were discard) and the global aquaculture production was more than 80% of the fishery production (66.6 million tonnes). In order to maximize production and also having sustainable management of the aquatic environment, knowledge about aspects of fisheries and aquatic animal health is very important. This book comes to cover part of these aspects. The need to exchange reliable information on all related subjects is becoming a key issue. The editor would like to thank Bentham Science Publishers for providing this opportunity to bring this book to the general public. Scientific Veterinary Institute "Novi Sad"